The Civil Division is responsible for providing legal services to the officers, departments, boards, agencies, commissions, and instrumentalities of State government. The State Solicitor is appointed by the Attorney General and reports through the Chief Deputy Attorney General. The Fraud and Consumer Protection Division protects the public from securities fraud, consumer fraud, Medicaid provider fraud, antitrust violations, tobacco enforcement, white collar crime and misleading or deceptive business practices. The Criminal Division of the Department of Justice is responsible for the prosecution of criminal cases throughout the State from misdemeanors to murders. Its mission is to represent the State in criminal cases, and in so doing safeguard the human rights of victims and their families and the constitutional rights of defendants. Former Attorney General Matt Denn created the Office of Civil Rights and Public Trust in January 2015 to provide legal firepower to ensure that these important issues are addressed and to provide a point of contact for members of the public. The Family Division is responsible for areas relating to violations committed by juveniles, as well as protecting children in vulnerable situations and enforcing child support orders. 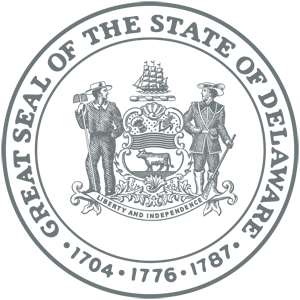 The primary goals of the Delaware Department of Justice are to provide quality legal services to the public and State agencies and to enforce the laws of the State in a fair, just and effective manner. If you are a hard working individual with a “can do” attitude and want to be part of a high-performing, fast-paced Department with a tradition of excellence, we may have a position for you! Join us and help make a difference. You can submit an online application, or via email at dojhr@delaware.gov. Anyone wishing to work at the Department of Justice in any capacity (including volunteers and interns) must complete a DOJ Employment Application. Candidates for all positions must have a satisfactory criminal background check. Anything other than routine traffic violations may preclude you from obtaining a position with the Department. Once submitted, your application will be retained for six months. 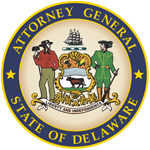 The Delaware Department of Justice is an Equal Opportunity and Affirmative Action Employer. Visitors to this webpage may access Attorney General Opinions issued from 1995 to present. Most of the Opinions during that period relate to disputes concerning access to “public records” under, and/or alleged violations of the “open meetings” provisions of, Delaware’s Freedom of Information Act (“FOIA”). Attorney General Kathy Jennings is committed to open and accessible government. In 1977, the General Assembly passed Delaware’s Freedom of Information Act (FOIA) to ensure that government be open and accountable to the people. The Office of Civil Rights and Public Trust (“OCRPT”) is charged with investigating law enforcement officer involved shootings for the Department of Justice. The OCRPT’s investigation serves a specific but limited purpose – to determine whether a law enforcement officer’s use of force constitutes a criminal act. The OCRPT does not establish or enforce internal police policies concerning the proper use of force by law enforcement officers. Law enforcement agencies are responsible for establishing and enforcing guidelines for the use of force by their officers and for determining whether an officer’s actions were consistent with such guidelines in a given case. View, complete, download, and submit the latest versions of our forms. DOJ forms are free and organized by the Division or Unit they fall under. We have an array of useful forms from complaint forms about businesses, to agreement forms to mediate issues within a homeowners’ association, and more. The Consumer Protection Unit (“CPU”) of the Delaware Department of Justice has enforcement authority over violations of the Manufactured Home Owners and Community Owners Act (Title 25, Chapter 70, Subchapter I) (the “Home Owners Act”). Homeowners and/or tenants who believe their community owner/landlord has committed a violation of the Home Owners Act should submit a complaint to CPU, which they can obtain here. CPU represents the State of Delaware in protecting the consuming public. Delaware law does not allow our office to provide tenants with legal advice or private representation in lease disputes or in breach of contract cases. However, because CPU may take enforcement action if a landlord engages in a pattern or practice of violating the lease terms required by the Home Owners Act, a tenant should file a complaint with CPU even in private dispute or breach of contract cases so CPU can maintain the data for its records. If similar complaints are made by multiple residents, it may rise to a pattern or practice for which CPU may take enforcement action. Complaints about rent increases, which are governed by Subchapter III of Chapter 70, Title 25 (“Rent Justification Act”) are not within the enforcement authority of CPU. The Rent Justification Act mandates that tenants who have a basis to dispute an increase in their lot rent do so through the arbitration process. Delaware's Attorney General, the State's chief law enforcement officer, has broad responsibility to combat crime, safeguard families, fight fraud, and protect consumers in the First State. In meeting this mission, Attorney General Matt Denn is supported by a leadership team consisting of the Chief Deputy Attorney General, State Prosecutor, State Solicitor, and directors of the Family Division, Fraud & Consumer Protection Division, and the Office of Civil Rights & Public Trust. 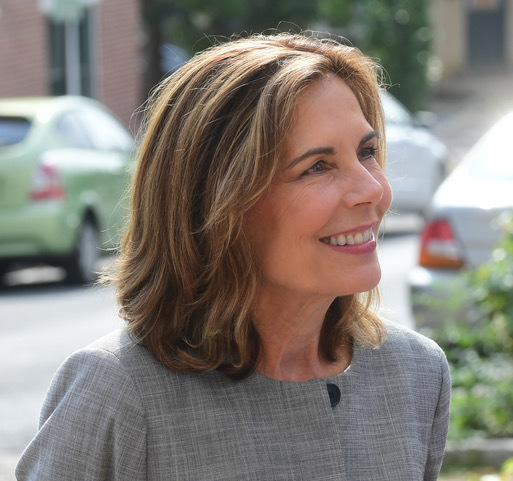 Each of the more than 450 staff who work in the Office of the Attorney General are committed to the goal of serving all Delawareans with integrity and dedication. Deputy Attorneys General, with critical support from criminal investigators, social workers, paraprofessionals, and administrative staff, prosecute criminal cases, enforce consumer laws, provide counsel to state agencies, ensure the public's access to open government, protect the abused, and much more. This website is your portal to learn how the Attorney General's Office works, access forms for reporting fraud, read consumer alerts and press releases, find tips and tools to keep your family safe and secure, and find useful links to government and community services.